As part of a special monthly series, we’ve been looking at key battles from the Second World War. In February we covered the Battle of the Kasserine Pass in the North African campaign. For March we’ll be focusing on the Western European theatre of operations and on the Allied drive into the Ruhr area of Germany itself. By the beginning of 1945, the war in Europe was entering its final agonising months. Germany’s last major attack in the West had been thwarted and the Allies stood poised to cross the Rhine and threaten the Ruhr region. In spite of determined German resistance, on 7 March the first Allied units succeeded in crossing the Rhine. During the Wehrmacht’s retreat, a key bridge at Remagen had been left intact and was seized by American forward units. In the following weeks, three more crossings were made, placing major Allied units on the East bank of the river. The new situation placed the U.S. 12th Army Group in a position to threaten the large German forces in the industrial Ruhr area. This had long been a major target for Allied forces and was held by German Army Group B under Field Marshal Walter Model. Towards the end of March, sub-units of the 12th Army Group fanned out and advanced to the North West towards Cologne and Dusseldorf. At the same time, the U.S. 9th Army, which had been assigned to the British 21st Army Group in the North, moved to the South East. 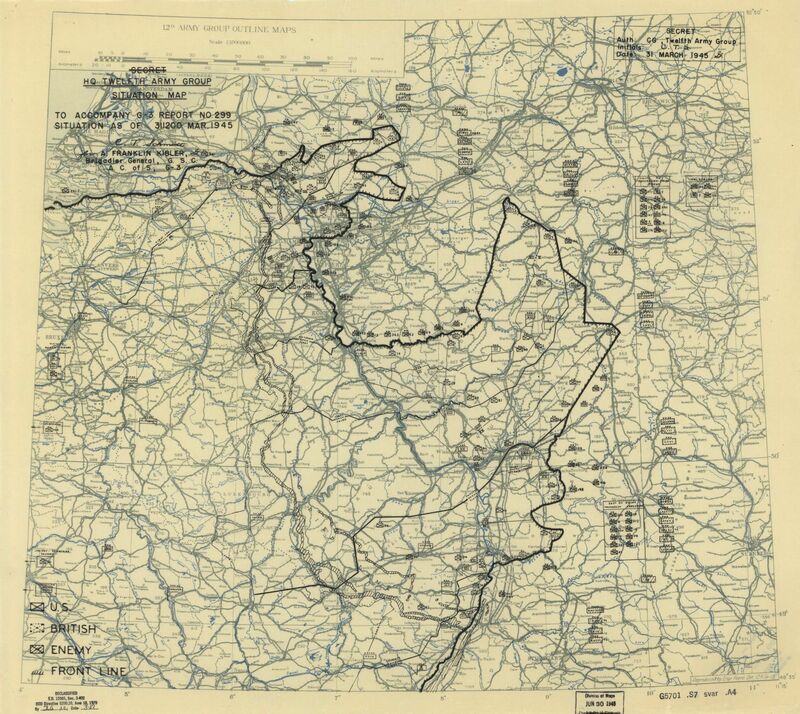 By the end of the month, the 9th Army and U.S. 3rd Army were close to linking up and completely encircling the German Army Group B. On 1 April, lead elements from both armies linked up and by 4 April, they had closed the gap in the front line. Trapped in the newly-formed pocket were approximately 430’000 German soldiers in 21 divisions and several million civilians. Completely cut off from the rest of Germany, the forces in the Ruhr pocket held out until the middle of April. Field Marshal Model gave his soldiers the choice of fighting on, attempting to escape or surrendering. The vast majority chose the latter and over 320’000 surrendered to the Allied forces. Unwilling to capitulate and fearing a possible indictment for war crimes, Model committed suicide on 21 April. The battle had rendered the final knock-out blow to German resistance in the West and opened the road for the Allied advance. Only a few weeks later, the Wehrmacht accepted defeat and the war in Europe came to an end.